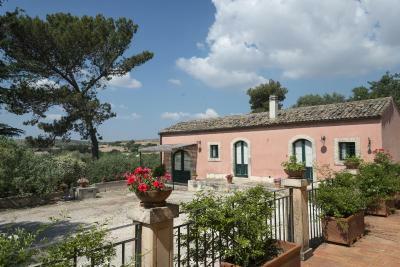 Lock in a great price for Agriturismo Borgo degli ulivi - rated 8.4 by recent guests. The host was very helpful and immediately sorted out any requests we made. 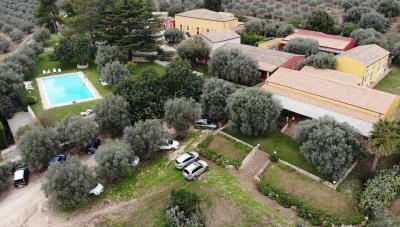 The agriturismo is set in the Sicilian countryside and the grounds are amazing. Giuseppe welcomed us and made sure we had a great stay over Christmas. We had an excellent Christmas lunch and he made us feel like we were at home. The room was comfortable, clean and also very well heated for the time of the year. This was my second visit and hopefully not the last one. The whole experience was very good value for our money! 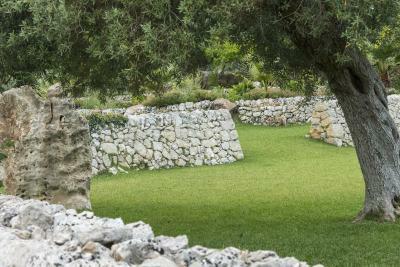 A great place to stay and explore the surrounding area. The grounds are really lovely. My only criticism would be that our accom was very dark and still quite dark with the lights on, very difficult to read in. Very calm and quite place to relax. Great swimming pool and spacious room. We recommend that place! Staff were very helpful, great pool & lovely dogs. Great place. Excellent outdoors. Rooms may require more attention. Very peaceful and child friendly. Relaxing outdoors and good dinners. Comfortable apartment with Good facilities including a kitchenette, a small terrace and an extra babybed for free. Every two days towels were changed. Breakfast was quite simple and It was not the very best we had during our holiday But with several choices It was fine. The restaurant serves Good food for a Good price (18 euro p.p. For four courses excl drinks). 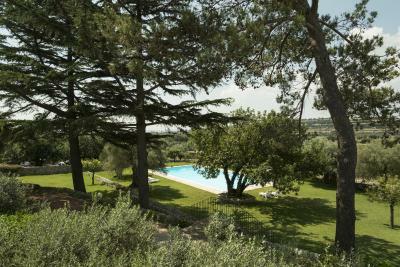 The swimming pool with sunbeds and playing field around It were also very clean and convenient! 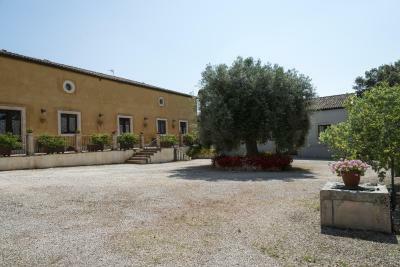 It’s a beautiful place to stay with very friendly Staff and there is much to do in the surrounding (especially syracusa, Noto, ragusa, Marzamemi and best of all cava grande are worth visiting). 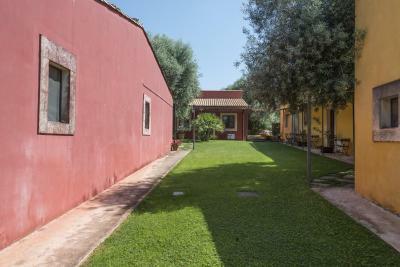 We stayed here for 7 nights which was perfect for us as we travel with a toddler of almost 2 years and like to have enough relax time at the agriturismo as well. The surroundings are really beautiful. The pool is nice! Breakfast is good! Especially the pancakes. The staff is nice and friendly. 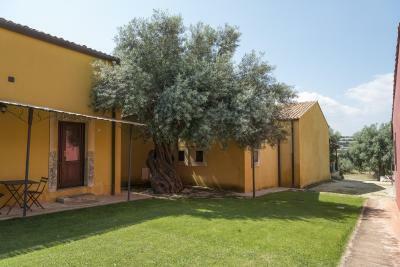 One of our top picks in Canicattini Bagni.With a seasonal outdoor swimming pool and barbecue facilities, Agriturismo Borgo degli ulivi is situated in Canicattini Bagni and offers free WiFi. Some units also have a kitchen equipped with a dishwasher, an oven, and a fridge. A continental breakfast is available each morning at the property. The in-house restaurant specialises in Italian cuisine. 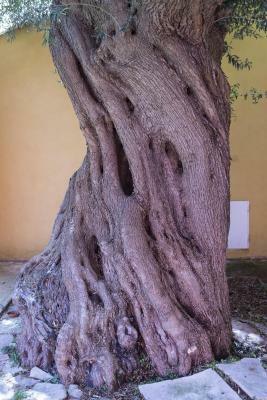 Siracusa is 20.5 miles from Agriturismo Borgo degli ulivi, while Noto is 19.9 miles away. 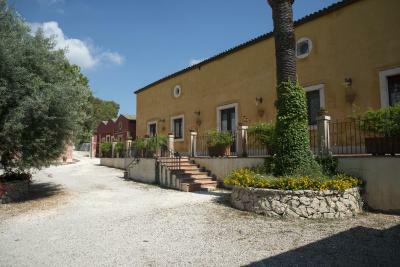 The nearest airport is Comiso, 37.9 miles from the accommodation, and the property offers a paid airport shuttle service. 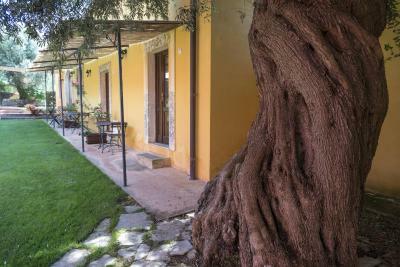 Agriturismo Borgo degli ulivi has been welcoming Booking.com guests since 4 May 2015. 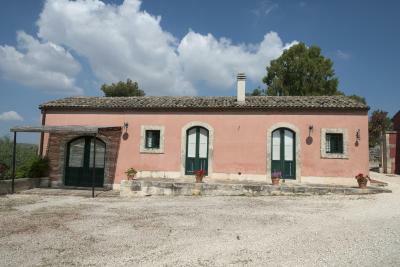 When would you like to stay at Agriturismo Borgo degli ulivi? This studio has a kitchenware, air conditioning and minibar. This apartment features a private entrance, patio and kitchenware. This apartment has a tile/marble floor, air conditioning and private entrance. This apartment features a stovetop, tile/marble floor and kitchenware. This apartment has a oven, kitchenware and seating area. House rules Agriturismo Borgo degli ulivi takes special requests - add in the next step! 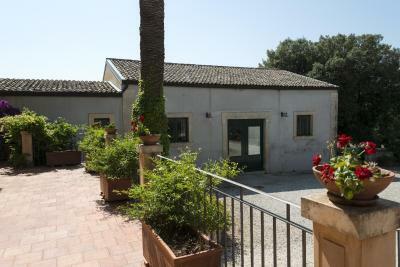 ATM card Agriturismo Borgo degli ulivi accepts these cards and reserves the right to temporarily hold an amount prior to arrival. 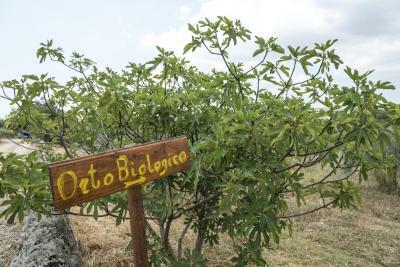 Agriturismo Borgo degli ulivi accepts these cards and reserves the right to temporarily hold an amount prior to arrival. The bread in breakfast should be fresh not toasted. The Staff is nice and room are very clean. Giuseppe, the host, was exceptionally helpful, especially on our journey from Comiso airport to the guest house. During our stay we had dinner a couple of times, and the food was delicious. Our room was clean and the surrounding area is beautiful. Will definitely visit again and would recommend it to anyone. Wasn't good enough for me. Please note that there are several dogs walking unleashed outside. But off course it are friendly dogs and they are used to be surrounded by many different people. Sometimes the water in the shower can be a bit cold. For us as a romantic couple it was a putty there where 2 singles beds next to each other..
Wifi only available in the reception area. We did not expect Wifi in room (since not included in reservation) but would be great improvement due to lack of signal in the rooms for mobile carrier.